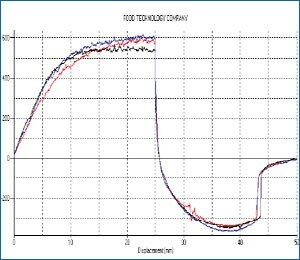 Large scale commercial bakery identified a requirement to measure dough hardness as a predictor to process performance in rotary moulder and plug former. 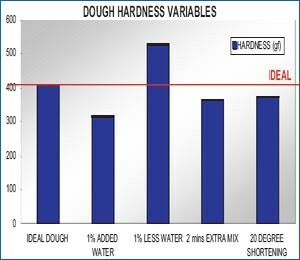 Dough texture and firmness was identified as critical characteristic to processing performance. If dough were too soft it would stick to mould and plug former. If too hard it would not fill mould & crack on crimping. Three replicate penetration tests on sample taken from dough mixer. 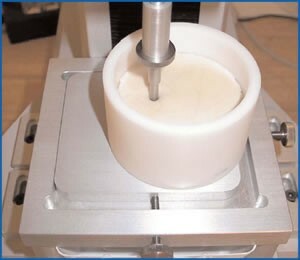 Dough was pressed into standard sized container to maximise reproducibility.